Howdy! Everything is big in Texas. Except maybe the ski areas. 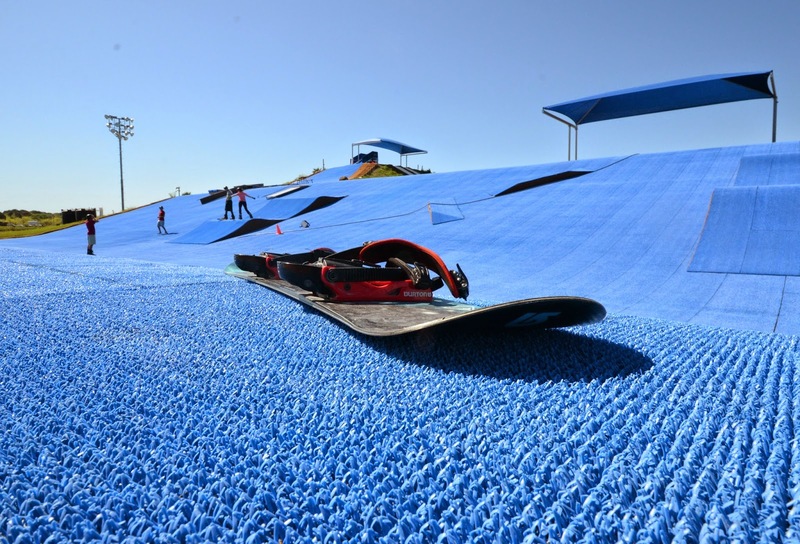 To be exact, there are no ski areas, just a snowboarding hill made of plastic. But, there is still plenty of sunshine, water, speed, and yes, plastic. I was in a conference in Texas, and had spent a week and a half almost completely inside the hotel. It was time to do something else. Fortunately, my flights home were leaving 8pm, leaving me with plenty of time to explore on Saturday. I googled for skiing, and found nothing. 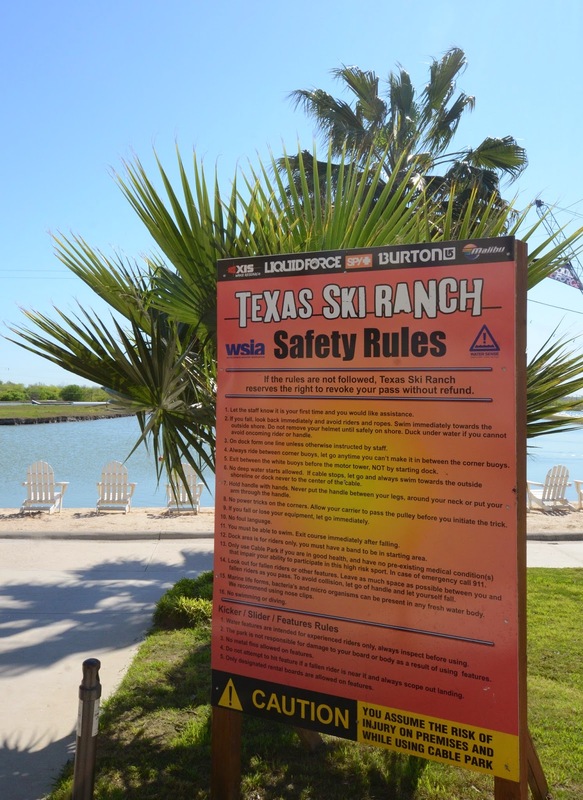 Except for this: Texas Ski Ranch. The ranch is south from Austin, and it would take about four hours to drive there from where I was in Dallas. But what would I find from the ranch? 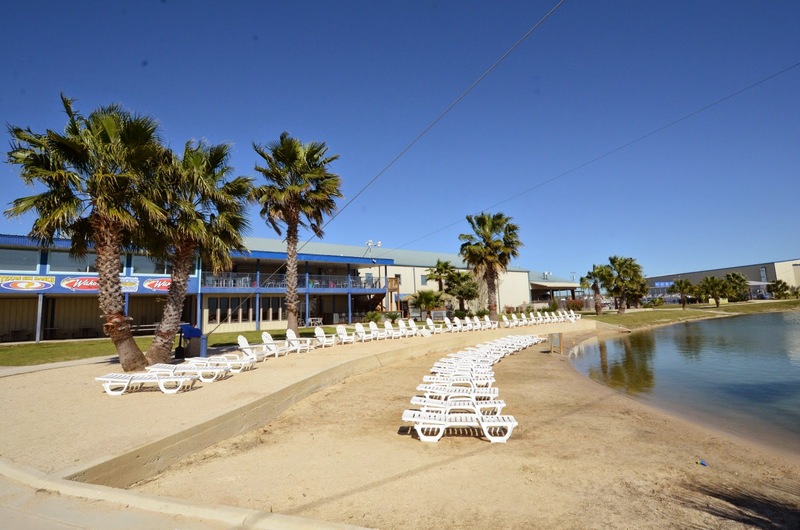 The ranch sports a small hill covered by blue plastic, cables for wake boarding on a small pond, climbing wall, boating pond, and beach chairs. And of course, friendly Texans and sunshine. Not to mention cowboy hats and boots (on me, at least). In typical American fashion, the first thing you need to do here is to watch a safety video and sign a release form. But after that it gets more relaxed, no major worries about anything. 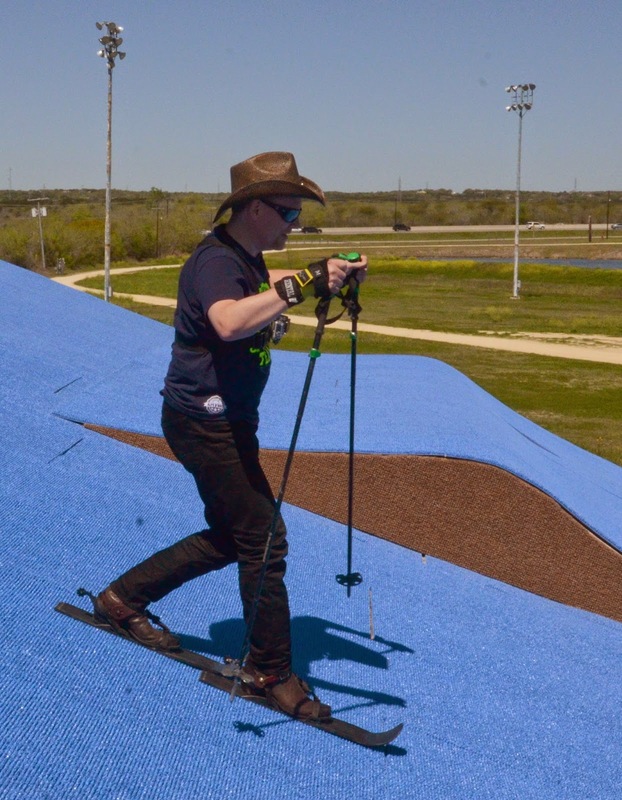 I was able to use my skis on the plastic hill, for instance, got help with taking photos, the staff kept watering the slope to make it more slippery, and they even offered a bucket of soap to make it more slippery. The slope is relatively small and not very steep. The watering was definitely needed to ski or board down. But it was a fun experience. I suspect that liberal application of soap would increase the speed further. 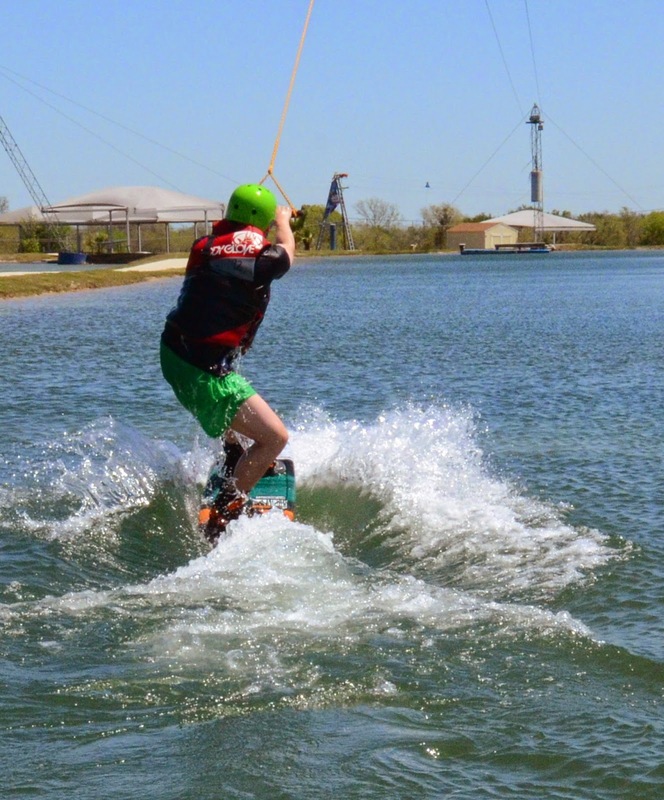 After skiing and snowboarding, I tried wake boarding. This a new experience for me, and a lot of fun! At the ranch there are two cable tracks to do this: a straight practice cable, and a longer cable system that makes a loop. Both run at around 30 km/h, but the practice cable is easier to start with, as only one person is in the system at one time, and it starts softly. 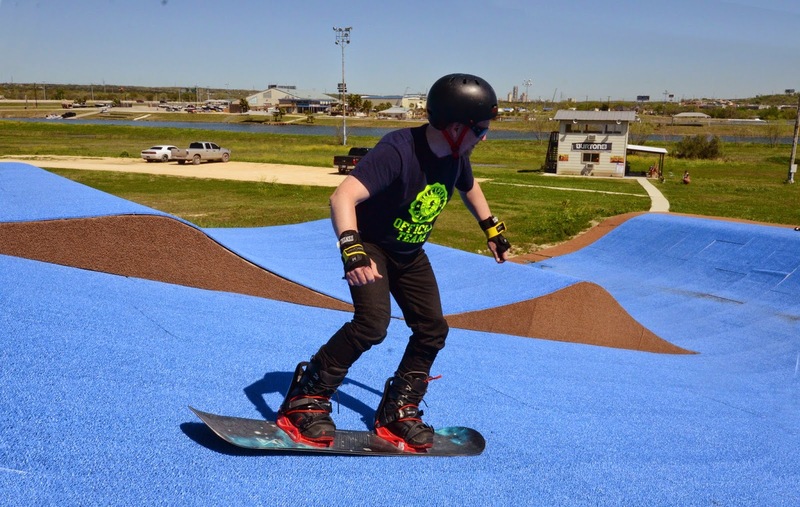 The looping system accommodates maybe dozen people, but starts with a jolt and requires the boarders to know how to make turns. 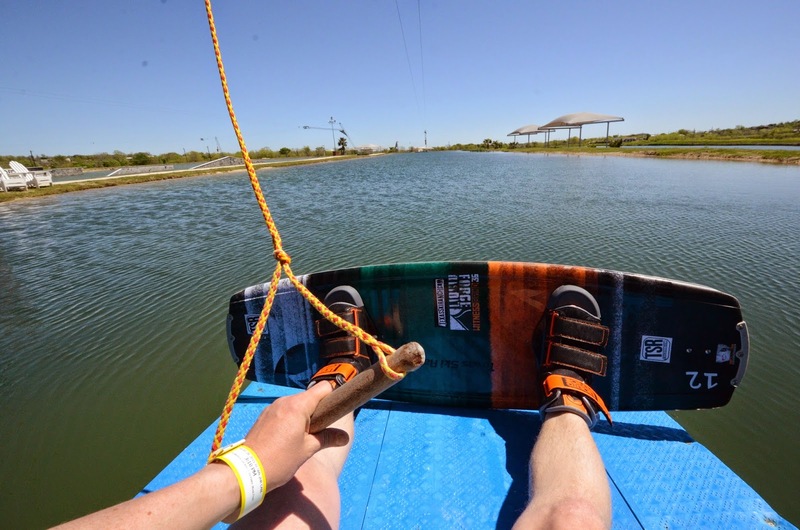 The practise cable was easy and I found the boarding to be a lot of fun. Surprisingly, I was able to get on the bigger system on the first try, but failed on the first turn. I did not realise I needed to make a broad turn to not lose speed. Instead, I thought I could just board the corner straight, but instead I got a new jolt when my handle started to go the other way. Faceplant to the water! And when you fall inside the cable track, you have to cross it to swim back to the shore. I felt I really needed to swim faster than I did, with the oncoming boarders zooming past. But I made it to the shore. I had no time to retry the looping track, as I had to get back to Dallas for my flights. I also had to skip testing the climbing wall and the bar. Maybe next time. It would have been fun to spend an entire day here, now I only had three hours or so. Although it was enough to burn my skin in the sunshine. 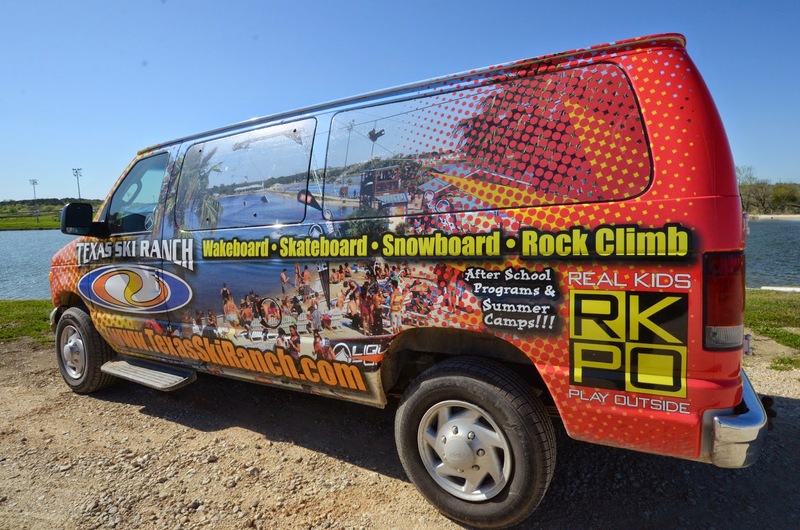 All the necessary information for a visit can be found from the ranch website. 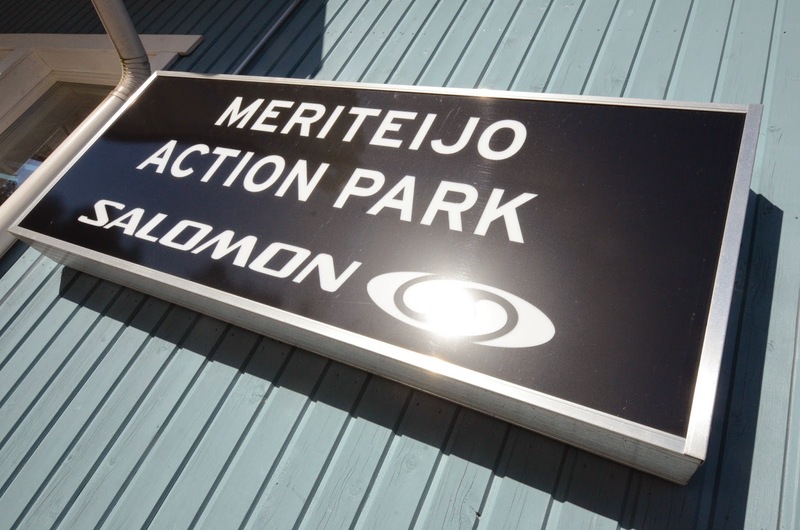 A two hour ticket to any of the activities starts from around 20$, with prices increasing on weekends and for people who need to rent equipment. All activities require a separate ticket. Lessons are also available, as are summer camps for school kids. I can imagine this would be a fun place to spend a week or two in the summer vacation. Pictures and videos (c) 2015 by Jari Arkko. Tämä blogi löytyy myös suomeksi. A crazy idea, at the cost of only 150€. Fly to Algeria for a day trip. To ski. Credit card data filled in, ready to press the button to book these tickets. But then I decide to check the visa requirements. That was the end of that plan, and time to go to plan B. I was staying in Barcelona and had a day off. Plan B was to drive to northern Spain, near the Pyrenees. There are a number of interesting places here, mostly in and around Andorra, but I had already been there. So I decided to go to a small local hill, Port del Comte. Of course, "local" is relative. 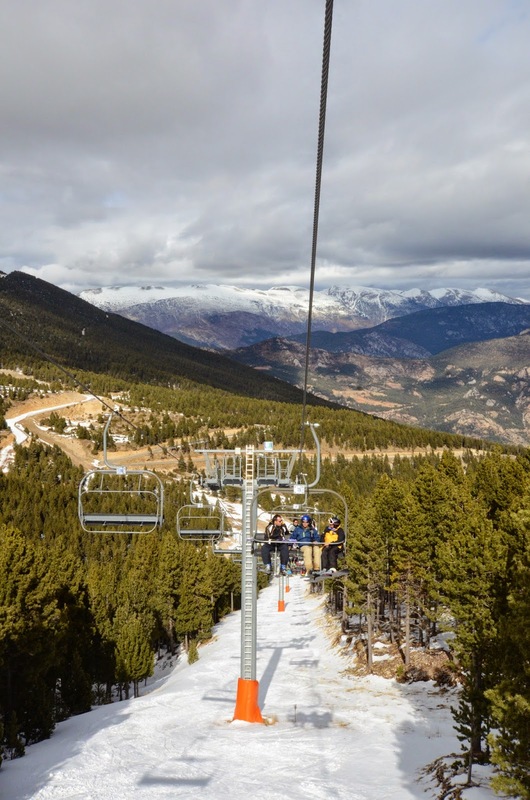 It still had a respectable 380 meters of vertical and many slopes spread around the mountains. And it was sunny. It would have been nice to have a bit more snow, but on the upper slopes there were some forests that were nicely skiable, and completely untracked. Perhaps because these areas were closed due to lack of snow, but with care you could still ski them quite well. 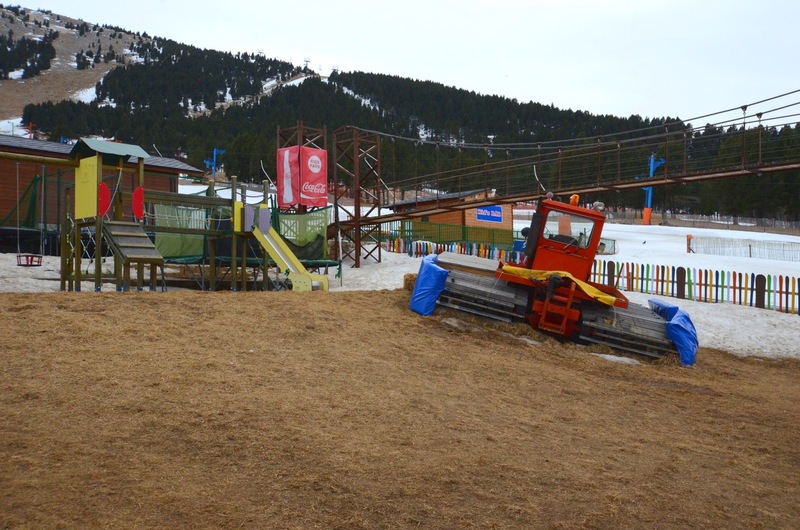 In particular, the El Bosquet "FREE SKY AREA" :-) next to the Bófia chairlift was nice. This forest is not too thick, and can be skied if you pay attention to your route. 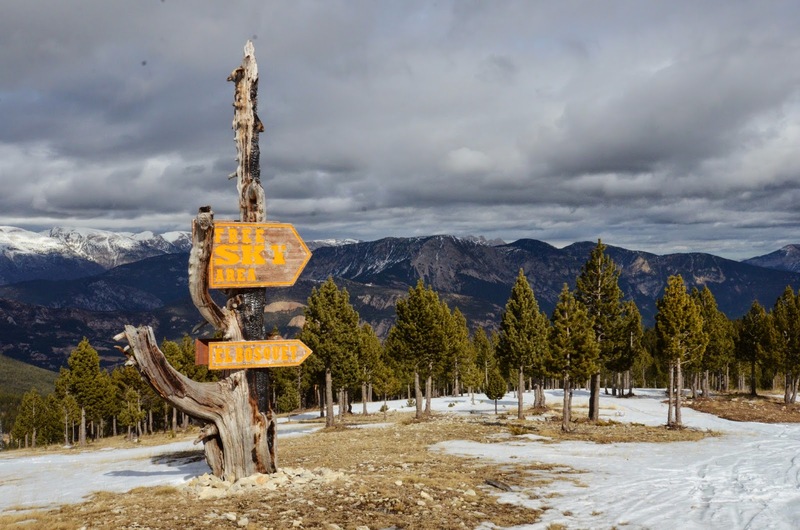 If it gets too thick, veer left to the lift track or right to the piste. 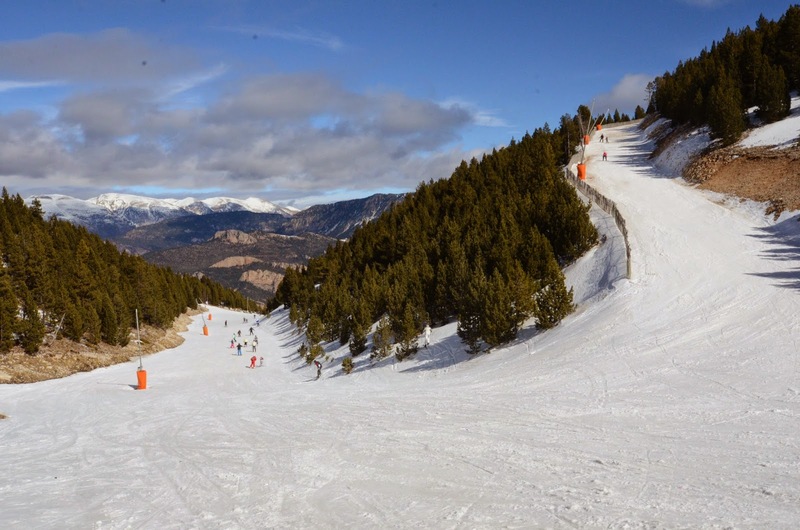 There are also suitable steep red runs, such as El Llop, to the skier's left from the El Sucre chairlift. 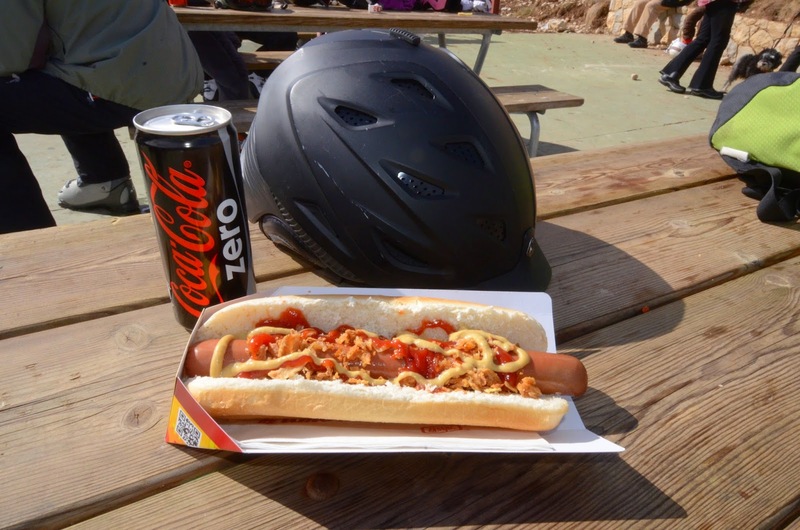 At the bottom of the El Sucre lift there is a nice hot dog station, by the way. Recommend in sunny weather. The most interesting views and runs are from the main lift El Querol, however. 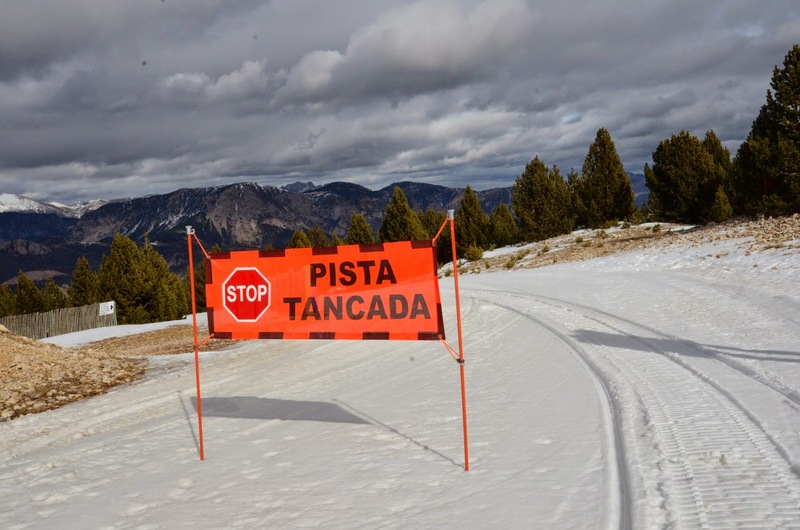 In particular, the blue run La Rasa Coma turns nicely and runs for over three kilometres. Lower down, not next to the slopes is the actual Port del Comte village.Here you will find more accommodation, including a spa hotel. However, the spa hotel did not serve food during their closed period, so I did not try that. The snow patrol apologised for lack of snow when I talked to them. This year has been exceptional even in Spain. 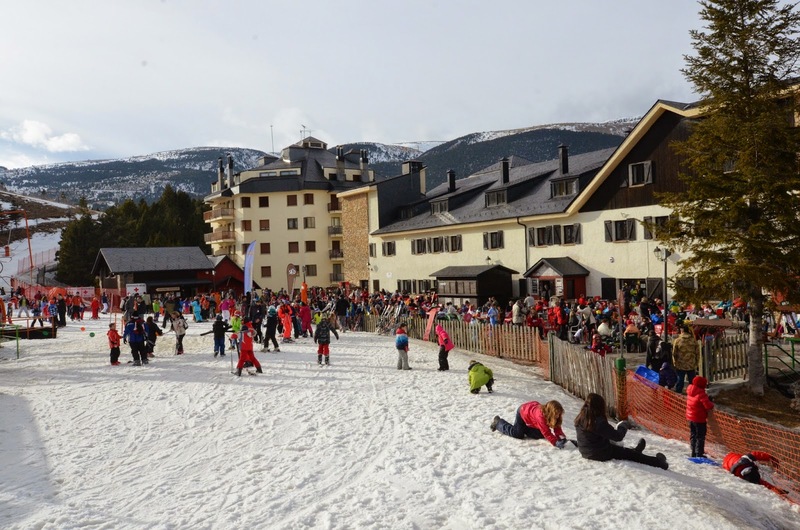 Yet it had recently snowed a lot in the nearby Andorra. A nice, relaxed ski area to visit. 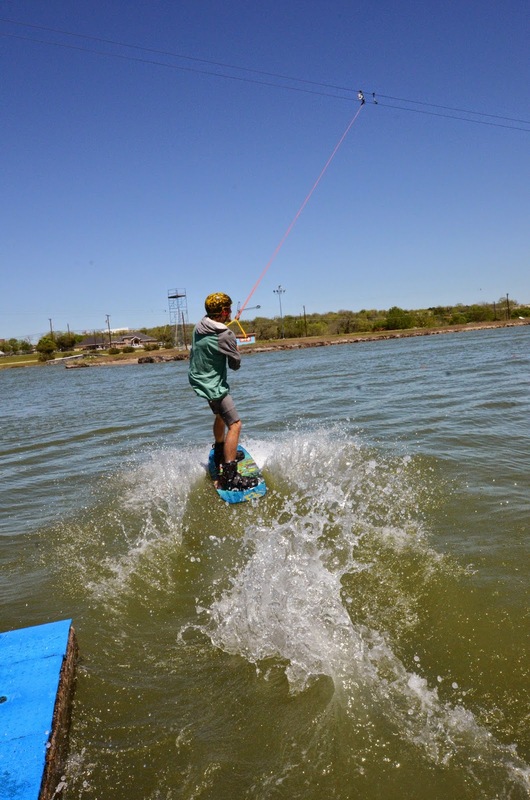 You will find more kids and beginners here than experts, but there is also a little bit of expert terrain. And very few other experts to compete for those fresh tracks. The end is near. Of the winter. 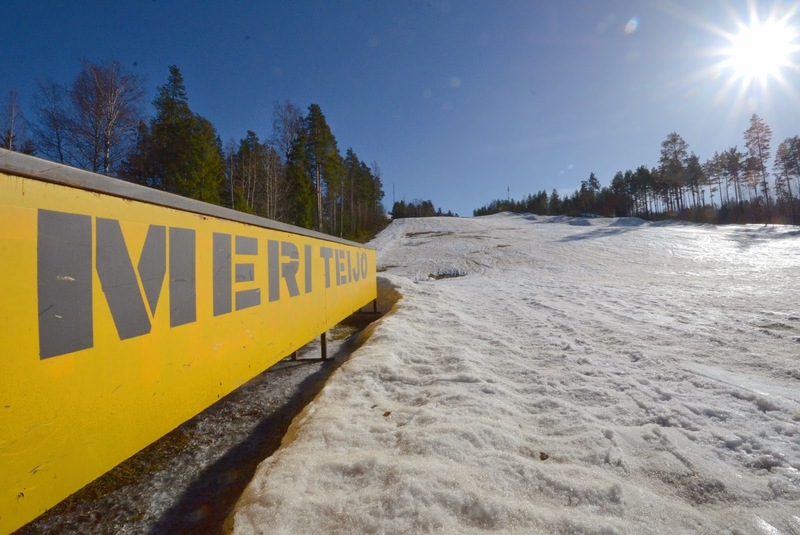 My friend Jarne suggested that I visit Meri-Teijo, but the ski area closed just a couple of days before I arrived, due to the spring-like weather we've had for some weeks. This did not stop me from visiting, however. What I found very interesting. 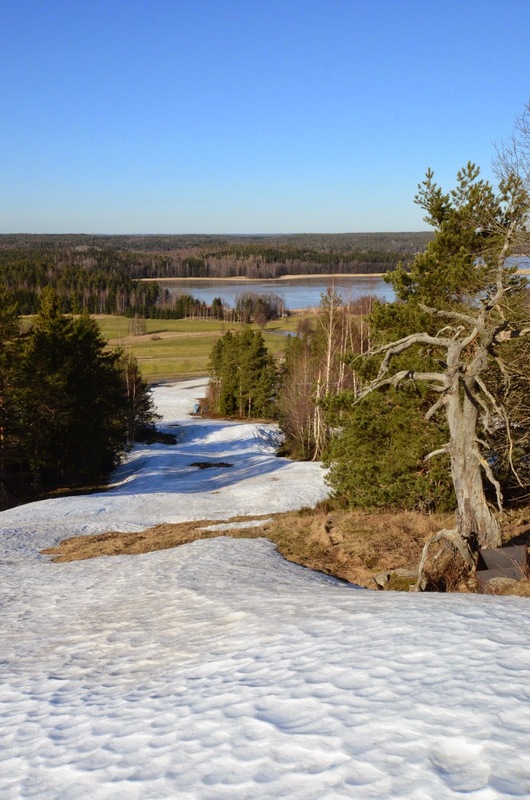 One of my favourite ski areas in southern Finland is Peuramaa, and Meri-Teijo reminds me a lot of that. Both are small, but they have many different runs, all with very different slope profiles. 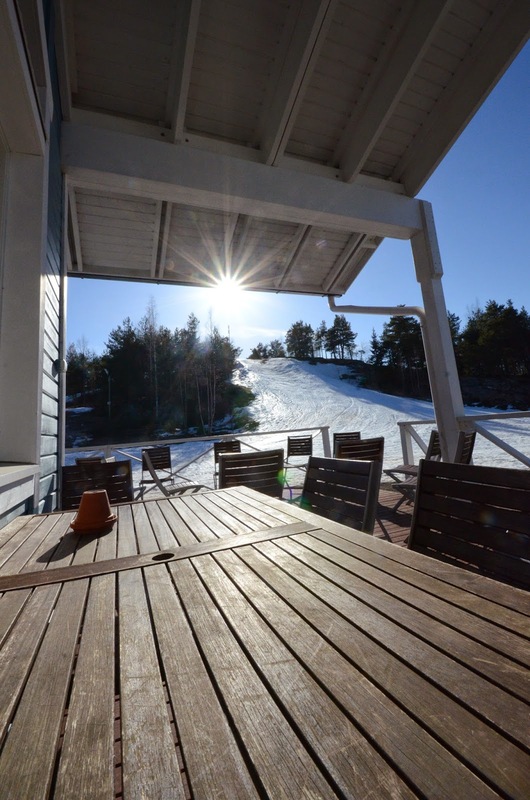 Meri-Teijo has altogether twelve interesting runs, amazing given that it is one of the most southern ski areas in Finland, and right next to the sea. Some of the slopes go straight down, some that slide through forests in a leisurely manner, some that go around cliffs. And both are surrounded by golf courses. 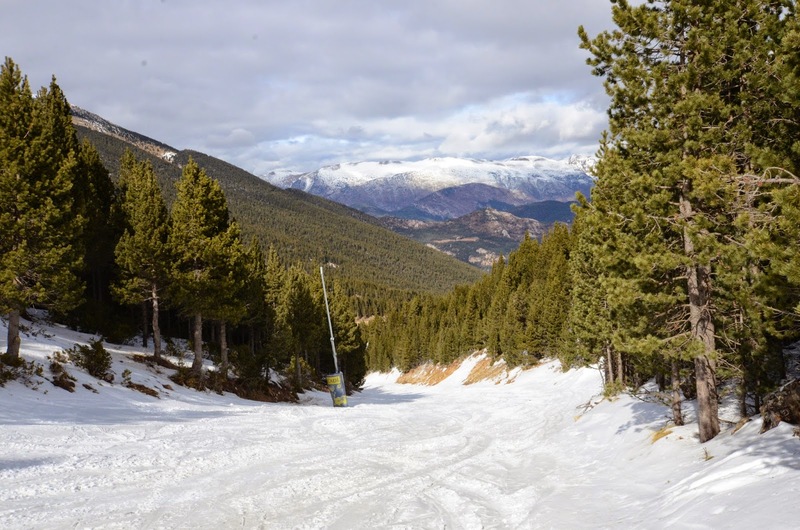 A very nice area, with plenty of good skiing and opportunities to explore the terrain. 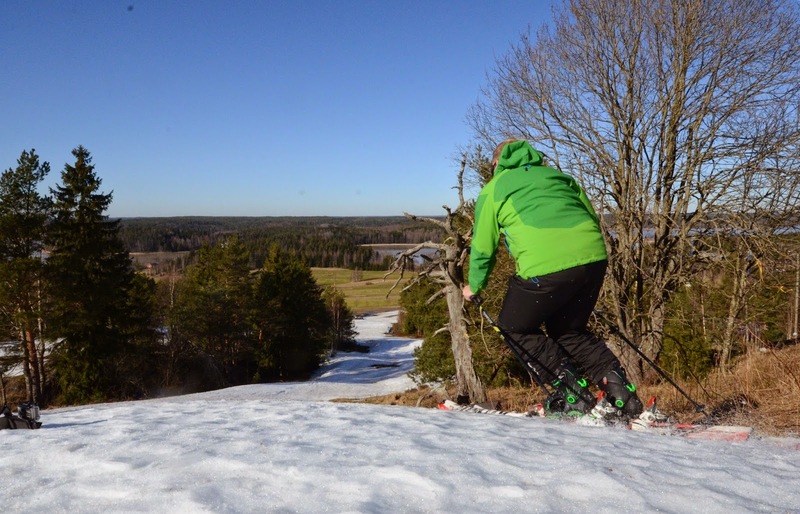 The vertical difference is 80 meters, which is good for a ski area near the Finnish coast. 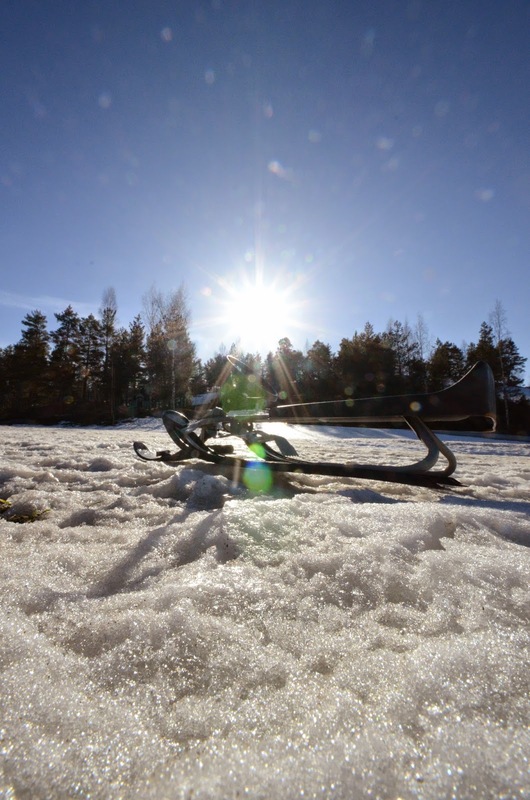 The longest ski run is 640 meters. And of course, golfing. 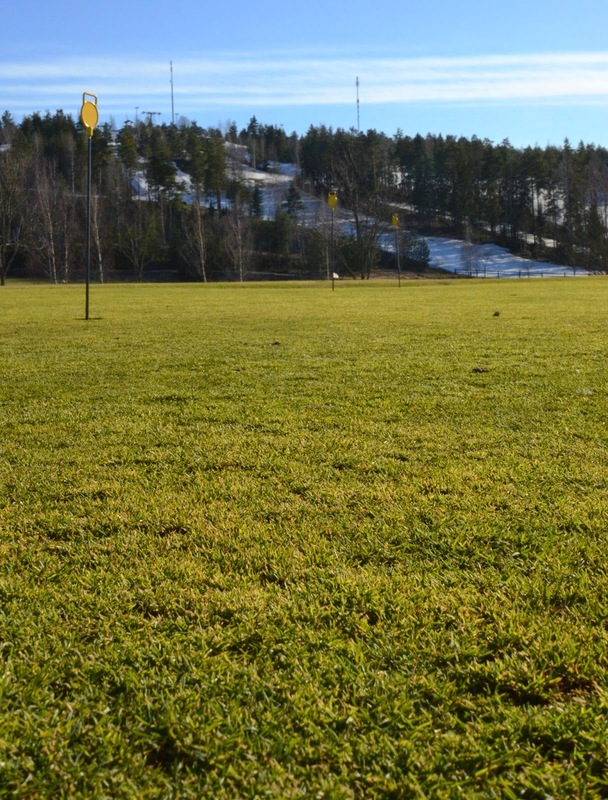 It seemed like the green golf course and the golfers were about to take over the white winter.